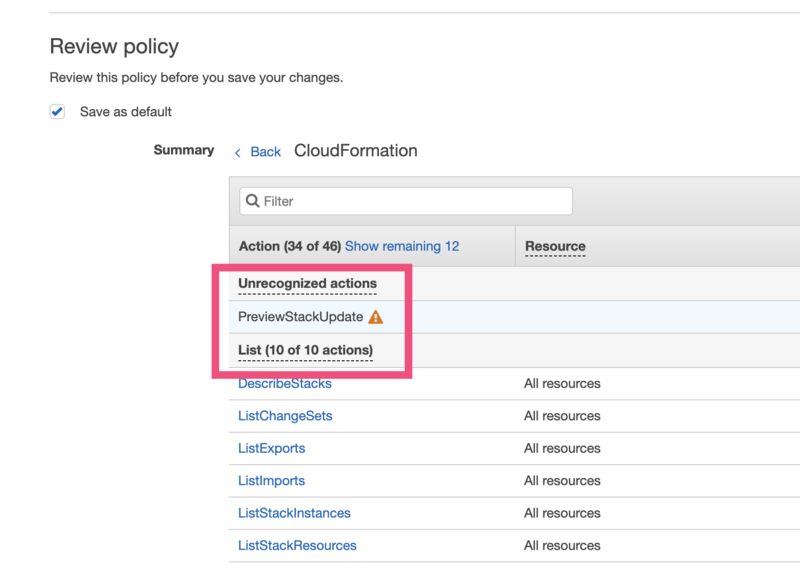 The "cloudformation:PreviewStackUpdate" is a unrecognized action on AWS. Maybe you could consider removing it? And when I set custom domain according to this article https://serverless.com/blog/serverless-api-gateway-domain/, I found this policy list lack some policies of ACM and Route53, maybe you could consider adding some of these.